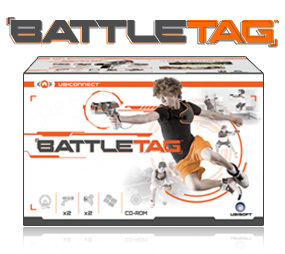 I just acquired a beginner set of Battle Tag as a prize at a company party and figured it was worth mentioning. The game was created by Ubisoft and i think really captures the feel of a shooter. first off you need to be within 300 meters of a PC to play which is a small drawback but it has loads of game modes, as well as the ability to create your own, and uses small blocks as objectives, spawn points, ammo, and even med packs. it is great fun and you can play up to an eight player game although the total investment would be over $700 CAD so it is steep.